From the late 1800s through the mid-1900s, pockets of towns sprouted across the country where gold or other precious metals had been discovered. The reasons the towns were eventually abandoned vary. Economic activity failed, natural disasters, pollution, uncontrollable lawlessness, and droughts were common causes. The buildings of these towns have largely been unperturbed by the elements, thus turning them into attractions for those wanting to glimpse into an era of American history. These are 5 of the most famous ghost towns in America that you can still visit. Bodie became a boom town in 1876, after a discovery of gold had people flocking to the area. It’s located in the Bodie Hills, just east of the Sierra Nevada mountain range. Gold was initially discovered in 1859 by a group of prospectors. Of them was a man named W.S. Bodey, for whom the town was named after he perished in a snow storm. By 1879, Bodie had a population of 6,000. It’s estimated that the mines here produced $34 million in gold. Bodie began deteriorating in 1912. The local newspaper, The Bodie Miner, saw its last printing and in 1917, the Bodie Railway was lost. By 1942, the last mine was shut down due to the closure of many nonessential mines across the country during World War II. In 1962, the town was officially established as a California Historic Landmark. Today, Bodie remains a popular place for tourists to visit. St. Elmo sits in the center of the Sawatch Range, a high and far-reaching mountain range in Colorado. It was first established in 1880 when gold and silver were discovered in the area. At its peak, St. Elmo had a general store, post office, bars, dancing halls, 5 hotels, and a schoolhouse. Three railroads crisscrossed the land, bringing people from far and wide to this little settlement. The Mary Murphy Mine was the most successful, revealing over $60,000,000 in gold. It continued operation until 1922 when it was shut down. Today, St. Elmo is still inhabited but is considered a ghost town. Sadly, a fire in 2002 destroyed the town hall and several other buildings. Buena Vista Heritage is currently rebuilding the town hall to its original state. Civilization arose in Goldfield in 1892, when gold was found in the area. It sits on a small hill nestled between Superstition Mountain and the Goldfield Mountains. The stories that first drew minors to the area were largely just that – the legend of the Lost Dutchman Mine enchanted the minds of prospectors everywhere. Over the course of a few years, Goldfield had a blacksmith, general store, brewery, school, and butcher shop. 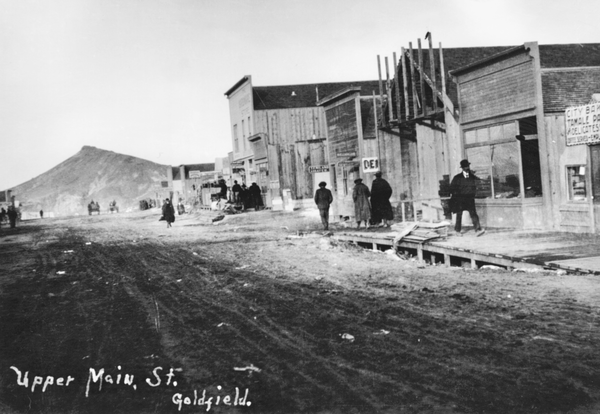 Goldfield’s prosperity was cut short when the gold mines started emptying. Five years after it was first established, Goldfield became a ghost town. Today, visitors can wander the preserved old buildings and take an underground mine tour. In the 1880s, Nevada City, along with its neighboring Virginia City, was known to have the “Richest Gold Strikes in the Rocky Mountain West.” Nevada City was first settled in 1863 by miners. They built homes and businesses in Alder Gulch, and by 1865, the city had a governing political body. Then, in 1896, the Conrey Placer Mining Company was enlisted to dredge the gulch which forced them to destroy much of Nevada City’s construction. What remained of the original buildings was preserved and offered to the public as a place to learn about the history in the area. 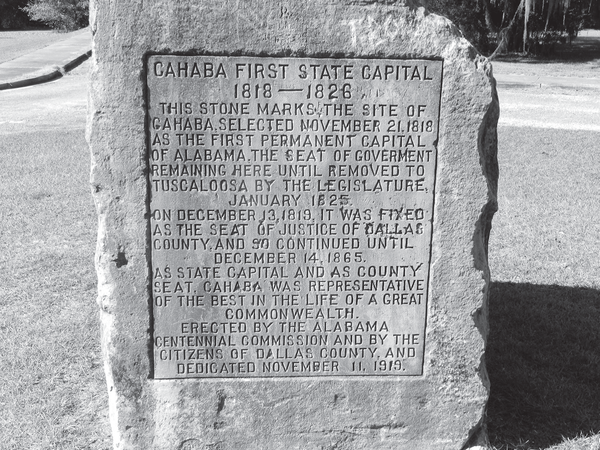 On November 21, 1818, Cahaba was selected as the temporary state capital of Alabama while the future capital was being developed. The town was laid out on a grid system, and upon its creation, each of these grids was auctioned off to the highest bidders. However, due to its lowland location between two rivers, Cahaba experienced frequent flooding. Heavy mosquitoes made locals complain that the state capital should be moved, and in 1826 they got their wish. A railroad was built through the area in 1859, and a cotton crop boom helped stimulate growth. By the start of the American Civil War, Cahaba had 2,000 residents. The state of Cahaba turned after the Civil War closed. By 1870, the population had declined to 431, and by the early 1900s, a freeman bought the town for $500, had most buildings demolished, and sold for scraps to help build up nearby communities. The town was added to the National Register of Historic Places in 1973 and remains open to the public today. Ghost towns across the United States offer their visitors a glimpse into a slice of American history. Their stories of boom and bust help explain the economic pressures of the time. Visitors can explore their pristinely preserved buildings or even wander the old mines to broaden their understanding of the history of the area.